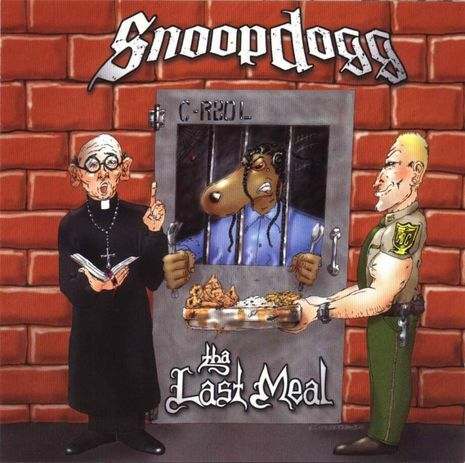 Snoop Dogg Releases Album "Tha Last Meal"
Tha Last Meal is the fifth album by rapper Snoop Dogg. It was released on December 19, 2000. The album included the singles "Snoop Dogg (What's My Name Pt. 2)" and "Wrong Idea" featuring Bad Azz. It sold 397,238 copies its first week and has sold over a million copies to date according to SoundScan. The album was leaked on the internet on December 1, 2000 by Suge Knight who made all tracks downloadable in MP3 from the official site of his and Snoop Dogg's former company Death Row Records, which featured links to tracks from both Tha Last Meal and Dead Man Walkin' albums, asking visitors to "take The Snoop Dogg Challenge" and decide "song for song" which CD is better.